Brew By Numbers. What does that mean to you? Well, to some it’s similar to painting by numbers, which we will now call drinking by numbers, only you have complete freedom over which numbers you choose, and all you have to do is match each one to the most suitable glass and enjoy. For now, we have five beers and two glasses. 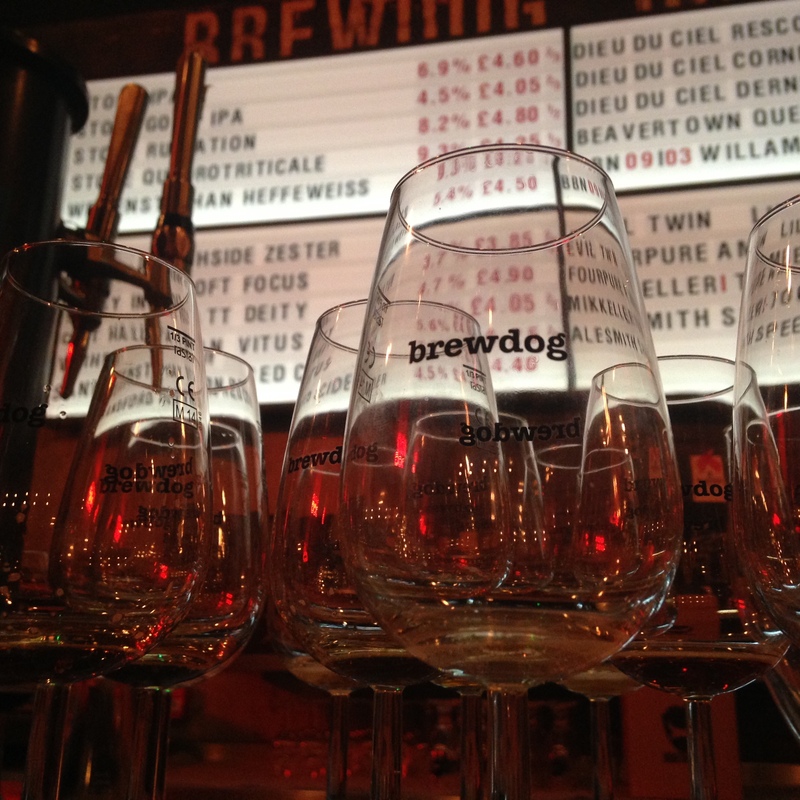 The beers are all Saisons, 750ml of course, and the glasses are Brew By Numbers own. To make it nice and easy we’ll start from the beginning, and work up a little as we go along. I first came across this beer around 12 months ago and it was the first Saison that made me think ‘wow, these Saisons are alright’. Call it a Saison epiphany if you will. It continues to blow my mind every time I drink it. You’ve probably seen the hashtag beergasm, well, this is it for me. Spicetastic, funktastic, citratastic and full to the brim with the Number’s Magic. This beer alone is the reason why I have chosen to do this with 750ml bottles. Don’t get me wrong, the 330ml is good, but that extra volume takes it to another level. The depth and intensity of flavour are unparalleled, and it starts with that aroma. It hits you, and you know you’re in for a treat. It’s classic Saison, with that funky spiciness coming from the yeast, but the hop pushes it forward. The fruity funk delivery from the Citra completes the meet and greet, so you’d best taste it. The spices used are really evident as you delve in, but there is a light maltiness there too. Coupled to the yeast, this really does make for a satisfying drink. And that hop, it just doesn’t go away. With it’s relentless funky fruits hammering away at your taste buds, you’ll wonder why this doesn’t come in a bigger bottle. I could quite happily take a magnum of this stuff. Actually, no. Make that a Jeroboam. And that dry finish it leaves behind? Well that’s your invitation to get stuck in with the next. 01|02 Saison Amarillo & Orange. 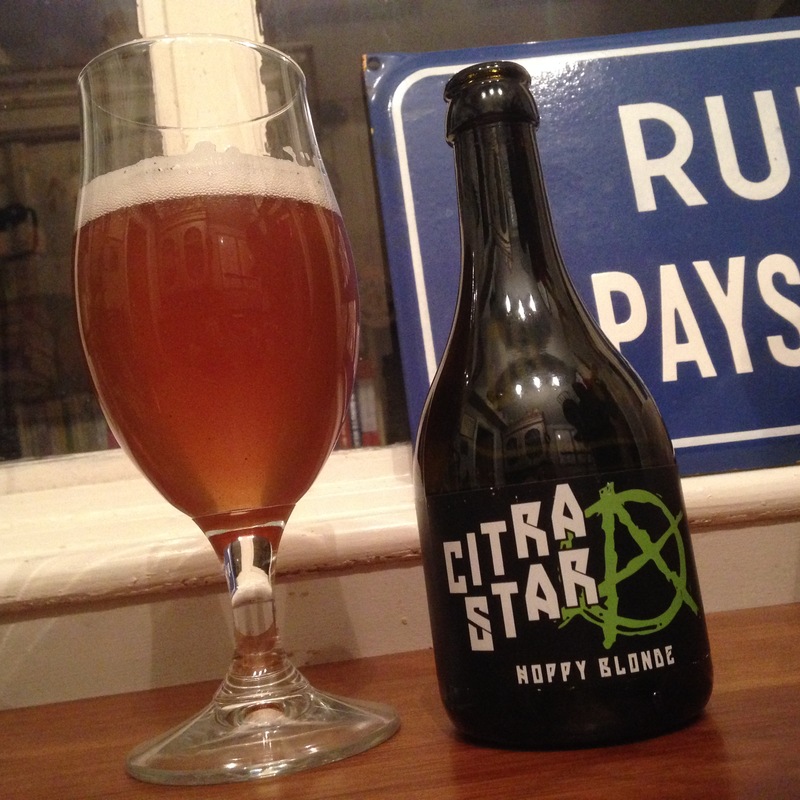 The aroma, again, starts with the typical saison funk, but this time with a fistful of orange. The taste is bittersweet orange, with the saison spice just creeping in along with a nice dose of bready malt. It’s surprisingly quite smooth too, and doesn’t have the coarse carbonation of some Saisons. That smoothness makes is very satisfying and so wholesome; it feels full bodied but it’s quite light at the same time. The finish is a mix of bread and cereal malts, and a light orange pithy bitterness. It’s not too dry and some bananary notes also linger. If you’ve started this off straight from the fridge, this beer benefits from being allowed to warm slightly, which really opens the beer up to release all those flavours. 01|09 Saison Hibiscus & Chamomile. Ever had a cup of chamomile tea followed by an Hibiscus Prosecco cocktail chaser? No? Ever thought of mixing them? Thought not. But if you did, you’d probably end up with something like this. The funky Saison yeast hits you first, but it soon fades and is followed by the sweet fruity smell of the hibiscus and a dusting of orange. The chamomile completes the breath and offers an almost savoury end prior to the tasting. It’s similar to Prosecco, just much smoother, in the way that it’s dry and has a certain grape like character to it; The back of your mouth thinks it’s having a glass of the stuff. The dryness is also like chamomile tea. It is exactly like the aforementioned mix would be on paper, although I doubt in practise it would be as successful. The dryness extends and the finish builds for some time after. It almost has an evolving woody note to it’s end, and it’s complexity will have you chewing your cheeks and lips to fully fathom it. It’s definitely wood, or is it? Could it be the chamomile? It’s tricky to pinpoint, but it’s very intriguing nonetheless. With a leisurely rush of bready malts, followed by a dash of funky yeast and the lightest of spice, this begins in a much more delicate way than the other beers here. All the flavours are there but they’re chilled right out as they glance across your palate. The beer is wholesome, and there’s a slightly sour kiwi fruit making it’s way along your tongue. It leaves behind more of the earlier bread delivery, but contained within the sandwich is a splattering of grapes. The trail acts as a guide for the next mouthful, which after gaining a little warmth, becomes all the more exciting. There’s more of everything; more funk, more spice, more sour kiwis rolling around your mouth, and more slices of malt too. It’s still incredibly delicate, but if you allow it, you will become immersed in it. Add a shade more warmth, and that bread becomes a freshly baked sourdough loaf. Glorious. 01|17 Saison Enigma & Nelson. Think Saison, think white wine, think savoury. Throw in some fruits and you’re close, but not that close. There’s a good load of malt in there too. Swill it, wake it up, and allow its aroma to unleash itself on your senses. Peer through the faint banana and get yourself involved with the spice. It’s got a kick, but you arrive at it in a more leisurely way than a hot curry. Taste it; Cloves like a Kretek, and shouldn’t be rushed like one can’t either. Reminiscent of white wine, but you soon realise you have something far, far better. There’s an increase in depth that you just don’t get with your favourite Sauvignon, but it’s hard to remember that this is actually a beer. It has exactly the same dry finish as the wine, but with the added extras that keep your senses alive and brain ticking. And you ask yourself, again, is this actually a beer? You answer; it is. It’s fantastically dry, grapey, funky, spicy, murky; and an immensely satisfying offering. For months I’ve been buying Saisons, all the Saisons in fact. But none of them satisfy me in the way that those from The Numbers do. I don’t know what it is exactly that makes them suit my taste, but it’s been a struggle to find anything else that comes close. And after you’ve made your way through all the Saisons above, you’ll see exactly what I mean and you’ll be on the hunt for the rest. And if you see a 750ml bottle, make it yours. The Double IPA, is it a thing? The early part of this year has seen some fantastic double IPAs. Some of which were seasonal brews showing their faces again, some were completely new beers, and others just didn’t quite know what they were. Or they did, except a newer, slightly different version was released before you’d even finished the last. Now, I’m all for tweaking recipes and altering things to improve the final product, but it would seem that Cloudwater have progressed with their series of DIPAs a little quicker than everybody else; First came the original DIPA, followed swiftly by V2 and then rather rapidly by V3. V4 and V5 will soon be on their way too, but do we really need them both now? So far, the Cloudwater DIPA series has been very successful, and each one different to the last, but I do wonder what will happen when VMax has been reached. Moving away from Cloudwater and on to the rest of our DIPA offerings, we have the highly anticipated Human Cannonball from Magic Rock. This yearly brew has the beer geeks mouths foaming at the prospect of getting hold of it. Fortunately for me, I was one of those lucky geeks whose overcame the mouth froth, correctly engaged my talking organ and successfully purchased this beer. I also managed to fill my sweaty palms with an Un-Human Cannonball too. This, a Triple IPA has an even bigger froth factor that will make a mess out of even the hardest of beer geeks. The next DIPA scored very highly on DIPA night. Not on your average Clintons sourced calendar, but on the Twitter calendar, it’s there alright. The score this beer received was 55|01. Quite a strange score that, I hear you say. Well yes, but then there’s more to the beer than just the score. 55|01 is actually the first DIPA from Brew By Numbers. They’ve really made us wait for this, and you know what? I’m glad. No rush, no fuss and no V’s. Just a DIPA exactly the way it should be; extra everything, and a little of the BBNo magic too. 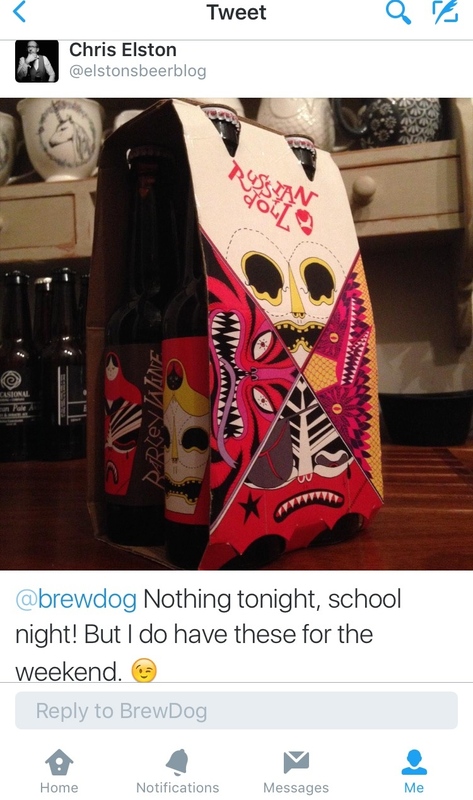 Born To Die from Brewdog may well have you thinking of Lana Del Rey, but you must stop, and stop now! Too late, it’s already dead. You spent too long thinking about Lana and now the beer is dead. Like all it’s predecessors it only had a short life, limited to weeks, and all the while you’ve been procrastinating about Lana, this poor beer has been gradually fading away without you even realising it. Shame on you! As the hop fade of Born To Die was irreversible, this next beer is too. Irreversible is the DIPA from Twisted Barrel Ale, who are touted as being more folk than punk. So as they sit on opposite corners of the ring, will they slog it out? Or will they embrace and just hug it out with a beardy cuddle? There might also be a rabbit thrown in for good measure. That’s not an elephant in the room, that’s a folking rabbit. So, what do you think. Is the DIPA a thing? Tapstone, Opium Wars. A beer on the silky side of hoppiness. Brewer of, perhaps, the most interesting beer at the recent CAMRA Festival of Winter Ales in Exeter, is the Tapstone Brewing Co, and that beer is Opium Wars. Billed as ‘An unfined dark brown beer. 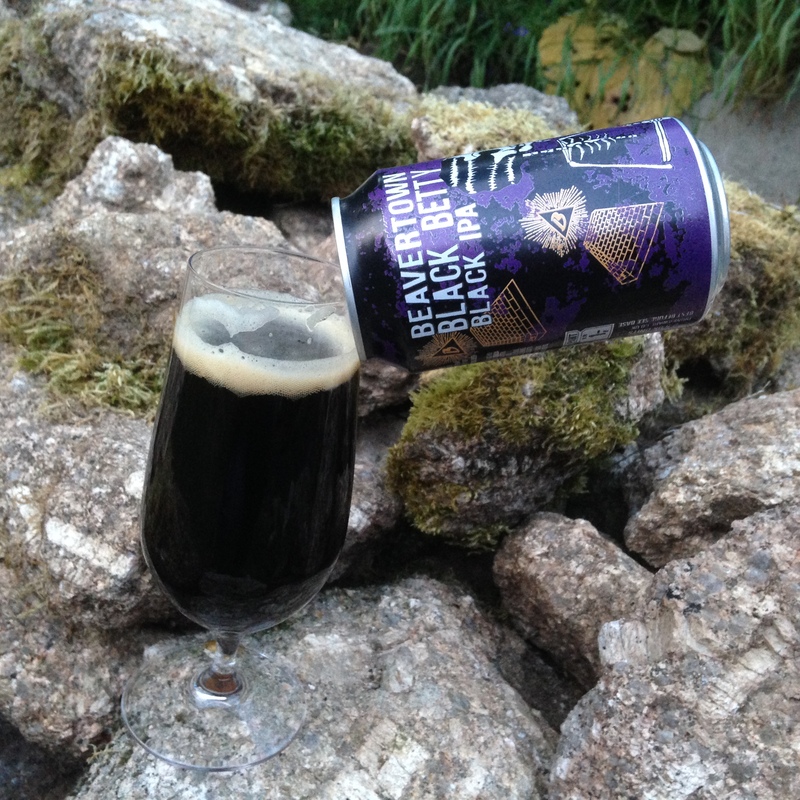 Strong hop aroma and citrus flavours and a lingering finish’ it is in actual fact an oily, black IPA. Unfortunately by the time I’d managed to get myself to the festival, this beer had run out. However, on further investigation I discovered that the Tapstone Brewing Co is based in Chard, and I have just started a new job working out of, you’ve guessed it, Chard. So, off I went to find the brewery and get me some of that beer. Chard is not a big place, and neither is the industrial estate on which the brewery is based, but could I find it? Eventually after driving round and round for the whole of my lunch break, I saw a clue. A white van parked outside a nondescript unit with beer casks peeking out of it’s open door. This has to be it, and there it was. The unit door was open so in I walked, to find James Davies, the brewer. After a quick introduction, I was led into the business part of the brewery. Not big either, but all the kit was there and the room smelled absolutely incredible. I’m sure James’s nose has become accustomed to the smell, but it was a glorious dose of fruity tropical hops, and I was in heaven. At the rear of the brewery are the two main vessels, and contained in one was the next batch Opium Wars. Still conditioning, I was told it wouldn’t be ready for a couple of weeks. We discussed pumps and flow rates, and agreed that I should return after said conditioning time had elapsed. A few weeks later I returned to the brewery. When I arrived James was casking up a new, low abv beer, called Zen Garden. At 3.6% this is the lowest strength beer that the brewery has produced. The aim was to create a massively hopped, light beer with a decent body. And after a quick taste, I can confirm that it’s pretty much met that mark. We picked up from our previous conversation and began to talk oxygen and the way that it affects beer. James’s desire to rule out any oxidation that could occur is evident when you see just how full my bottle was. But even filled to this level James isn’t satisfied. As in his mind, the bottle should be filled to the brim, to fully preserve all the hoppy goodness contained within and prevent any oxidation from occurring. Now, back to the main reason for my visits, Opium Wars. This beer never usually reaches bottles, in fact, none of Tapstone’s beer usually ever makes it into bottles. So I have been very fortunate to be able to obtain this bottle and I am also very grateful. Let’s start with the label. With its simple graphics and just enough information to tell you what’s inside, it’s like what you’d expect to find on a white label promo record. And during my record collecting days, these ‘white labels’ were the hens teeth and most collectable of all records. I’ve still got boxes of vinyl, all doing exactly what I’m not going to do with this beer, ageing. The beer, pours a very dark brown with its grassy, roasted chocolate notes making their way around the room and deep into your nostrils. As it’s luscious, slick, velvety body lands on your tongue, your senses are kicked into life by the light citrus, cherries and bitter chocolate contained within. And the presence of the dark chocolate leaves behind a sublime bitter finish that just lingers, and lingers, and lingers. This is a truly stunning example of a black IPA, it’s not just an unfined dark brown beer with a strong hop aroma, citrus flavours and a lingering finish. No, this is much, much more than that. The depth of the flavour and complexity are outstanding. It’s balanced too. The aroma hits you first and that flavour just drags you in. Not to mention the feel of the thing. It’s absolutely magnificent. 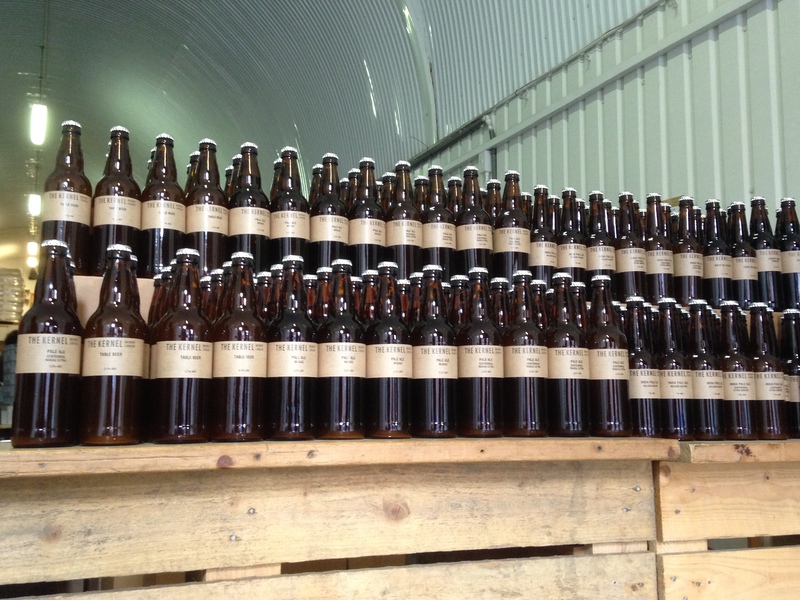 Black Tor Brewery – The bottled beers. Set in the beautiful Teign Valley, just outside of Exeter and right on the edge of Dartmoor, is the Black Tor Brewery. Recently under new management and in the process of rejuvenating some familiar recipes, along with adding in some new ones, Black Tor are ready to deliver some fine ale, to not just their local Devonians, but to as far a field as their beer may be requested. As Jonathon, the head brewer, personally delivers casks of beer to pubs dotted about the South West and further afield when called upon. Using traditional brewing methods, along with combining local and natural ingredients supplied by Tuckers Maltings, Black Tor are producing some fantastic classic ales, which, offer a nice distraction to the rat race that is the world of Craft Beer. And sometimes it’s nice to take a step back and relax with a fine ale instead. Just take a minute, or twenty, and sit and ponder over the exquisite, deep, and long lasting flavours that a proper hand crafted ale can give up. Take your time, enjoy, and savour every last drop. You mustn’t forget, that traditional ales are the heart of our country, and deep in the depths of our counties, there’s many a fine brew being laboured over as we speak. In addition to the well travelled casks, Black Tor are now offering their beer in bottle conditioned form. I was fortunate enough to be able taste a sample of Raven whilst on a recent work call to the brewery, and I was delighted by the fact that this beer would be available in bottles along with two others, Devonshire Pale Ale (DPA) and Pride of Dartmoor. All of the trio are staple brews and offer a good insight to the brewery’s work, and I’m sure, once you’ve managed to empty your glass, slowly, you’ll be on the hunt for more. So let’s get started shall we? Pull up a chair, preferably your favourite one, set the dog on it’s bed and go. Grab yourself a bottle of Raven and a glass. Crack the top, release that gentle fizz, and now pour. Nice and slowly, leaving the sediment behind, or not, its your choice after all. Now sit down, put your feet up and admire that glorious, glowing, reddish copper liquid before you. Allow your nose to take in the sweet caramel and berry aroma, breathe deeply now, we’ve only just begun and you’re in for a treat. Follow that aroma, and dive in for a taste. The smooth caramel butteriness develops into some further summer fruits, leaving you with a medium bitterness that just craves another gulp. When you’re ready to move on from the Raven, it’s time to get acquainted with the DPA. Offering another fantastic show of colour, the DPA sits before you proudly showing off it’s rich golden depth. The aroma starts off a nice hint of caramel with a dusting of a fruity funk. And it’s the gorgeous caramel that initiates the soft mouthfeel, leaving you with a lightly bitter and bready finish. And if you’re ready for your final instalment of the evening, then reach for the Pride of Dartmoor. That beautiful, deep, autumnal glow lets you know that something good is sat before you. With it’s grassy, biscuity aroma leading on to a taste that’s almost like a toffee apple, the soft mouthfeel leaves you with a lovely toffee taste and a light bitterness in the back of your mouth. As is often the case with bottled ales, I do feel that they have lost a little something in the bottling process. The Raven, at least, has a slightly fuller flavour when drawn from the cask, and it’s a shame that the same flavour profile isn’t present in the bottle. But, all in all, these three are really nice ales, and Jonathon should be commended for his efforts in taking the brewery on and the work he has done in order to make these beers available. He has the enthusiasm and also the will to create something good, and I would like to take this opportunity to wish him all the best in his brewing venture and also to thank him for providing the beers that enabled me to write this post. Visit the Black Tor website here. 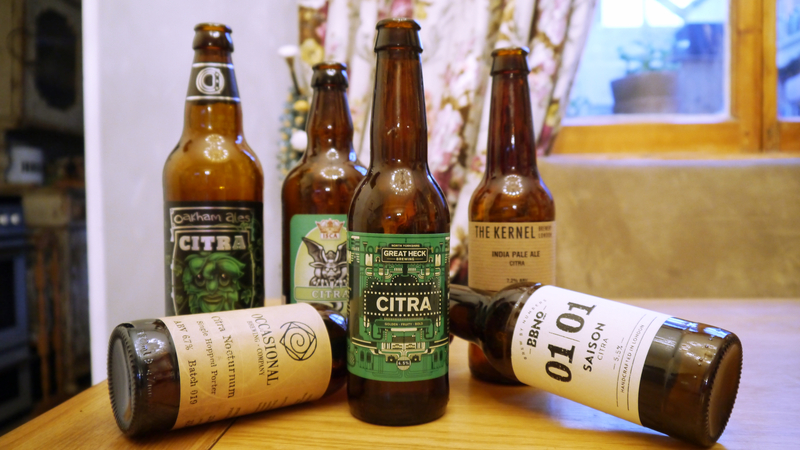 2015, my year in beer. Part two. 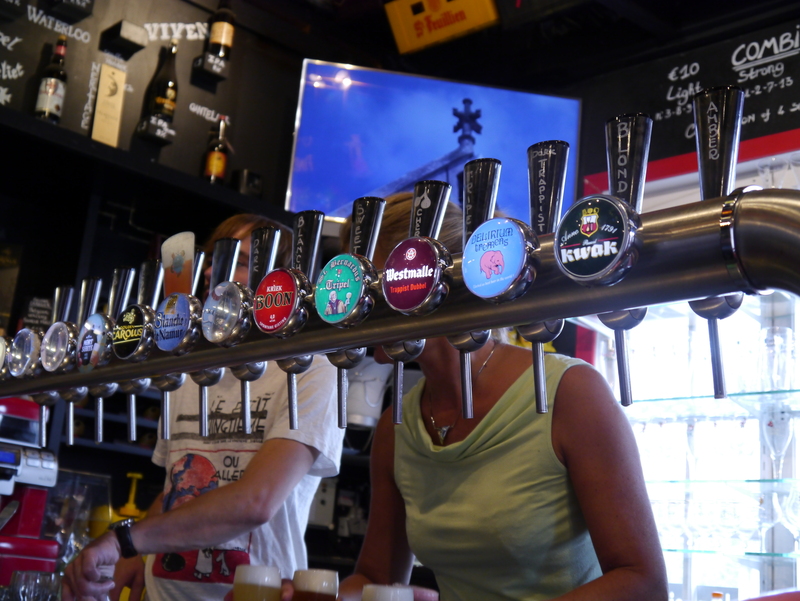 As it happens, the European Beer Bloggers Conference was in Brussels at the end of August, and I just had to go. But prior to that my wife had organised a surprise visit for us to Belgium earlier in August. This presented me with a bit of a dilemma. Should I really go to Belgium twice in a matter of weeks? Yes I said, and off we went. Learning from the visit to Budapest, I took notes at every opportunity; whatever was in my head, at any given time, I wrote down and took a photo wherever I could. And this left me with a diary of thoughts over the days of our holiday. These thoughts were expanded upon and formed the series of posts that became Saisons in the Sun. I loved writing these three posts, as I felt they really captured exactly what we experienced during our holiday and were a complete departure from anything I had written previously. Whenever I read anything that Adrian Tierney-Jones has written, I get the impression that he has also written down exactly what is in his mind at that precise moment in time, and he has effortlessly transcribed those thoughts into blog posts and articles that just keep you wanting more. It’s a fantastic way of writing and I have to say I love it. Some of what Adrian writes is like poetry and it’s fascinating to read! A week or so before the conference, I glanced over the list of attendees and recognised a few names of people who I followed on Twitter and whose blogs I had read. I was really looking forward to it, but I was daunted by the thought of having to write about it afterwards; as apart from the Russian Doll post, everything I’d compiled so far had been off my own back and for me. This fear soon went as the conference began, as during the registration period I was greeted by a fellow blogger who mentioned they had read my ramblings and said they really enjoyed reading it! This was totally unexpected, but I really appreciated it and it made me feel at home. Looking round the room I saw two familiar faces, well the faces of two familiar names to be precise. Matthew Curtis and Chris Hall. Chris, a prolific beer writer, who, works for Brew By Numbers, had assisted me with me some information for Citra Session, so it was great to meet him and be able to thank him in person. And Matthew, well, he is a beer writing machine, who has the enviable ability to produce consistently good work, time and time again. It was a pleasure to meet him here too. There were so many really great people in attendance at the conference, so many in fact, that I didn’t get the chance to speak to half of them! But those who I did mange to collar were all decent people and all there for the same reason; to share their love of beer and writing about it. Two people who really stood out over the weekend were the Irish Beer Snobs, that’s Mr & Mrs Irish Beer Snob, Wayne and Janice to be correct. The pair of them, like beer encyclopaedias, but great fun at the same time. Not that I’m saying everyone else was boring, because they weren’t, but I felt we were on the same level. And I’m sure Wayne downed a pint of the black stuff whilst nobody was looking! Another thing that really struck me was the distances that some people had travelled to be there. I thought I’d had it bad having to get up at 4am to get into London to catch the Eurostar to Brussels, after having only five hours sleep the night before! But no, there was a certain Brazilian journalist who trumped my journey. Another absolutely top man who was always outside smoking, so who knows what he ended up writing!! During the conference sessions I made an incredible amount of notes in a bid to try and capture everything that had been discussed. But looking back over these, I realised that what I should have done was just pick two or three subjects and concentrated on getting as much information as possible about the chosen matter. As when I was at home, I really struggled to make any sense of what had happened over the weekend. I knew I had to write something, but just didn’t know what to write about! Then it struck me, during Jean Hummlers outburst, he insisted that, us, as bloggers, should be more truthful about what we write and be critical about things we didn’t like or don’t agree with, just making sure that we did it in a constructive manner. 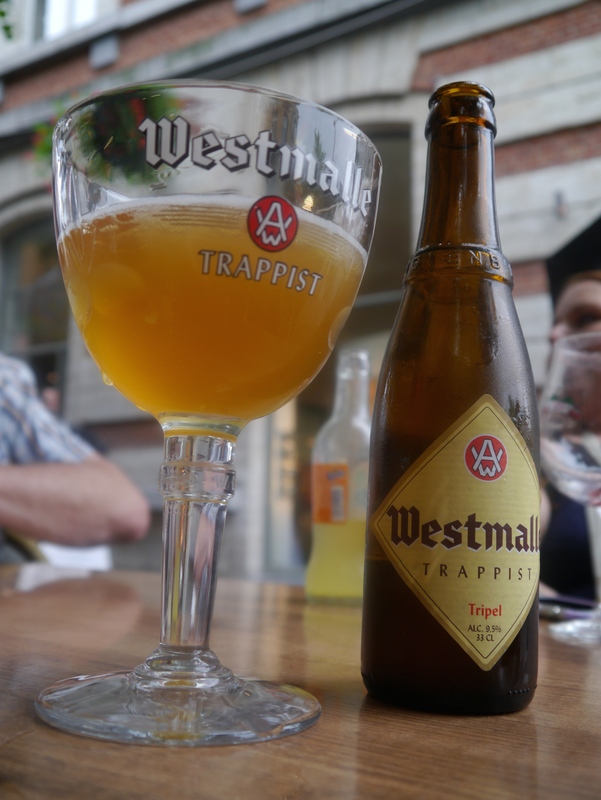 The whole weekend had been dominated by sour beers and the brewing industry in Belgium. I had some strong feelings about the sour beers I’d tried, so along came Hop Head, Sour Saint. I’m still unsure about whether publishing this was the right thing to do, but I felt I had to get it off my chest. Who knows, maybe the right sour beer could end up being my next Saison. 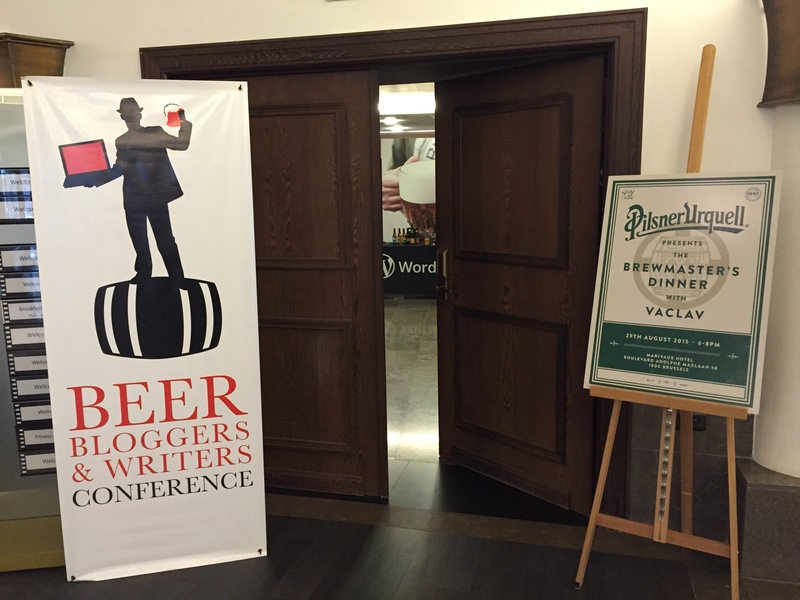 My second conference related post discussed contract brewing, which is a subject that a lot of writers know a fair bit about. After reading a few of the posts that other attendees had written, I decided that I would try and do something a little different and add in some non-conference material. I didn’t want my post to be a carbon copy of the conference session, so by talking to a local nano-brewery I was able to give my post a little twist. Do You Want The Truth Or Something Beautiful is what I ended up with. After the conference I settled back into my normal routine and wondered where to go next with my blog. It was then I discovered a new bottle shop was due to be opened in Exeter. This was quite special as up until now there really wasn’t anywhere in the City Centre that offered a decent selection of craft beer in the form of a dedicated bottle shop. As I mentioned in my post about Hops & Crafts, Whistle Wines used to be my port of call prior its closure. Even though the selection was limited to a few local breweries, the choice was good, and I paid a visit pretty much every Friday on my way home from work. It was a shame when the shop closed, but the Whistle Wine Club is still extant for the wine lovers amongst you. Chris Harper, of Hops & Crafts however, has done a fantastic job of filling the gap that Whistle Wines had left and I can see myself becoming one the regulars, as the shop is still on my route home from work! On top of consuming and writing about beer, one thing that had caught my eye was beertography. I was intrigued by this new ‘thing’ as previously, I, like many others had just placed a glass next to the beer, and snap! 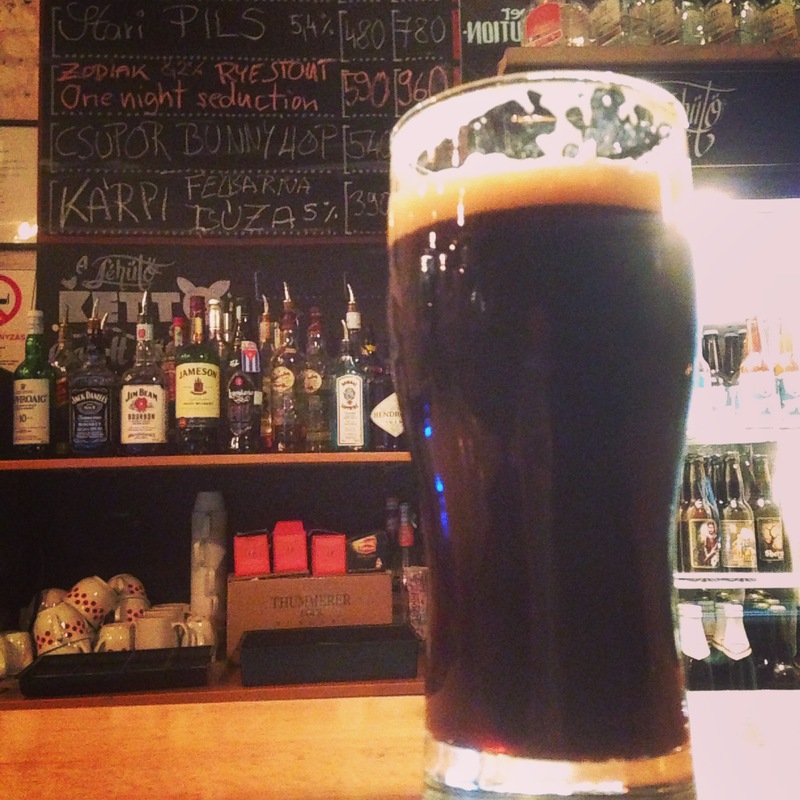 But during the year and through the course of creating my blog, I had taken quite a few photos of beer. Some of these were just a photo of the beer, but some were a bit different. Lots of people were trying new things with beertography and I wanted a bit of this too. Chris, @mindlesspizza is a dab hand at this, and you really must check out his efforts. His bokeh like rendering of the background is fantastic which really makes the subject stand proud. I’d seen the floating can trick, with the can held on to the edge of the glass by the ring pull. I even did it myself. But I’d yet to see somebody do it with a bottle. 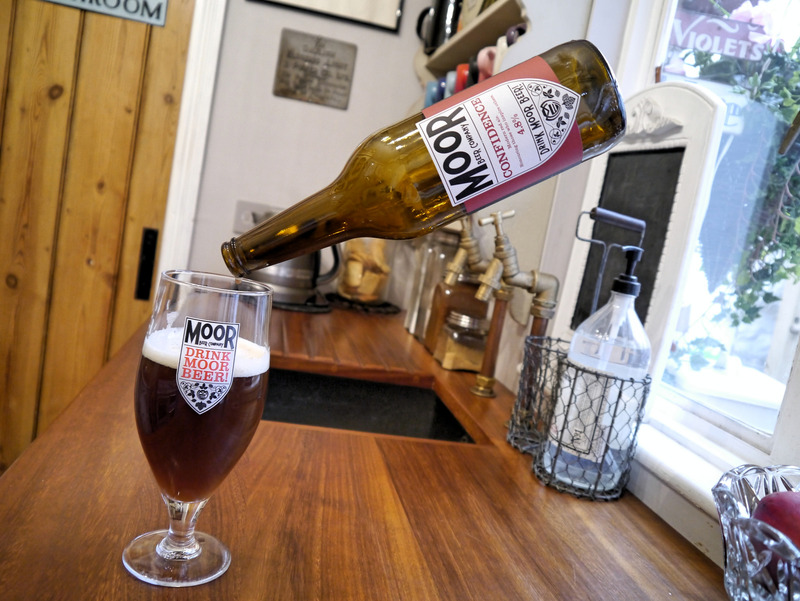 So I set up this shot ready for Craft Beer Hour when Moor Beer Company were hosting and, contrary to popular belief, did not use Photoshop. I might even do this one again but use a bottle of their Illusion instead! Following this I took a few more shots that weren’t just of the beer, or they were, but I still tried to add a little twist to each one. 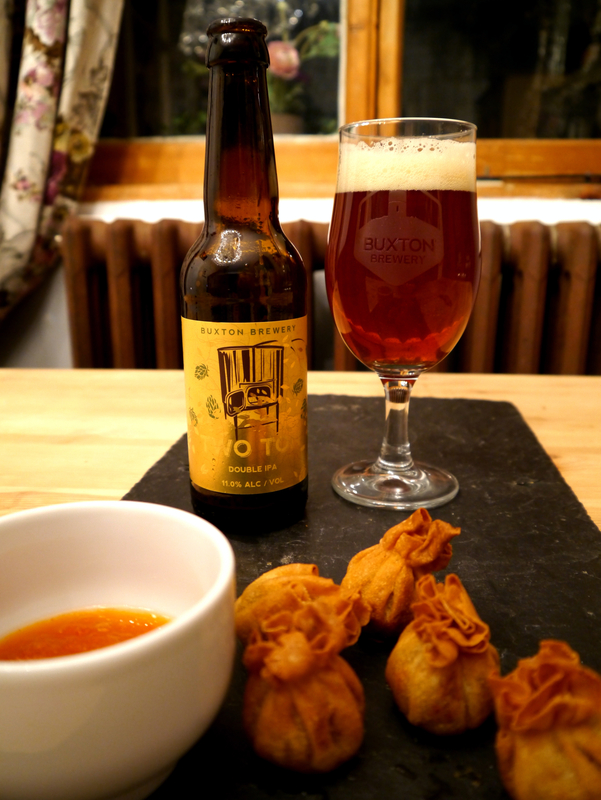 I’d had a bottle of Buxton Brewery Two Ton for a couple of weeks and liked the sound of Wonton, Two Ton. So took this. I also managed to grab a few bottles of Yellow Belly and Yellow Belly Sundae. For quite rare beers photos of them were everywhere, but seeing the mirror on the Sundae bottle gave me an idea. I positioned a bottle of Yellow Belly just out of shot but captured its reflection in a carefully placed mirror to make it look as if it was preying on the Sundae. On top of this, Craft Beer Hour has been a fantastic thing throughout the last year. I always enjoy grabbing an early week beer and sitting down to take part. Craft Beer Hour has really opened my eyes to a lot of previously unknown breweries and beers. It’s also brought a lot pot people together to talk, and share their common love of beer. It is fantastic and I commend Tom for all his efforts in setting it up. Further thanks has to go to Tom, for one week when the Electric Bear Brewery were due to host. They are a fairly young brewery and their beers are currently confined to the beautiful city of Bath. 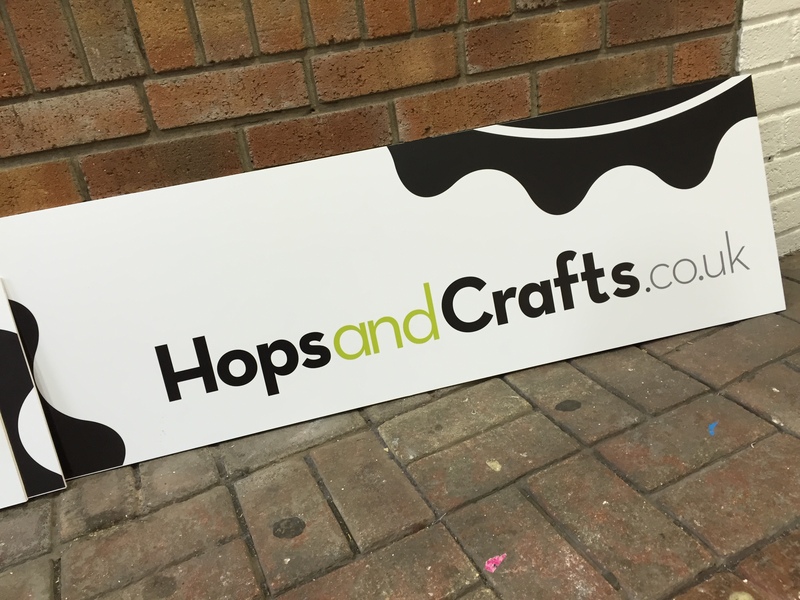 However, in the week prior to their hosting I was asked whether I’d like to play a proper part in the next Craft Beer Hour. How could I refuse? I loved being part of CBH and was more than happy to help. That help involved being kindly sent a few sample beers from Electric Bear with the premise of talking about them and playing a part in CBH. This was fantastic, as with my electrical connections and background I had some great ideas for some photographs. I had no idea which beers would be sent out but I knew that my workplace would play a big part in preparing for the evening. 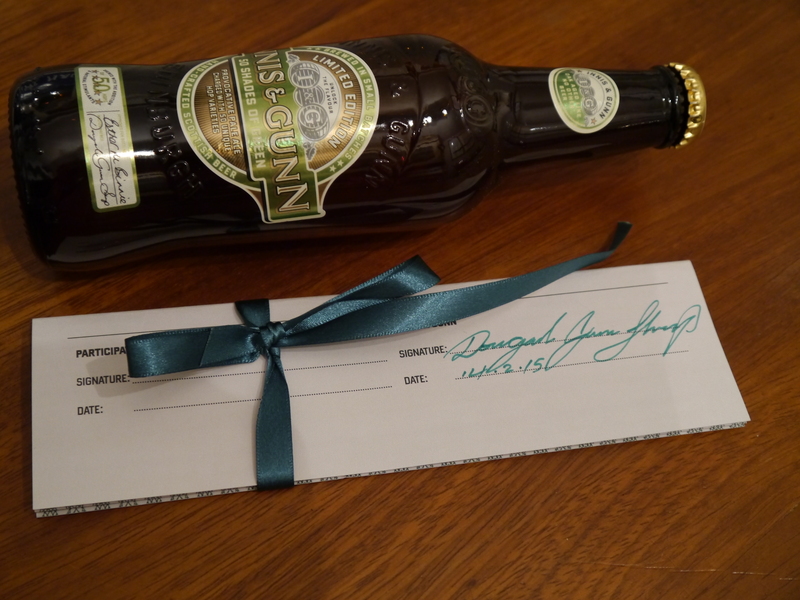 I wanted to give each shot some relevance and a link to something beyond the beer. Edison, their Czech style lager, is a crisp pilsner hopped with Hallertau, Perle and Saaz which ends up being a nice dry pilsner with a citrus finish. And with Edison being the electrical link here I used an Edison style lamp as a prop for the shot. Following this was Elemental, a session strength IPA jam packed with US hops and balanced with pale malts. The prop here was a ceramic insulator from a high voltage substation, and before you ask, yes I do have lots of these and the one in the shot lives in our front room. The final beer for the evening was the truly fantastic Cherry Blackout. Morello cherries, vanilla and dark chocolate, there is nothing about this beer that’s not to like. Out came the candles and some cherries to complete the shot. To finish off my year I paid a visit to the Black Tor Brewery. Based in the Teign Valley just outside of Exeter, they are producing some fine traditional ales in a bid to resurrect the historic name of the Gidley’s brewery. My work brought me here to repair a water pump, well beer pump, one that transferred the beer from the copper, through the heat exchanger and into the fermenters. The pump was duly fixed and I was offered some refreshment. No coffee here, just an approximate third of their beautiful Raven. Which, hopped with all English hops, Challenger, Goldings and Fuggles, is a rather fruity and easy drinking session ale. And that concludes my 2015. 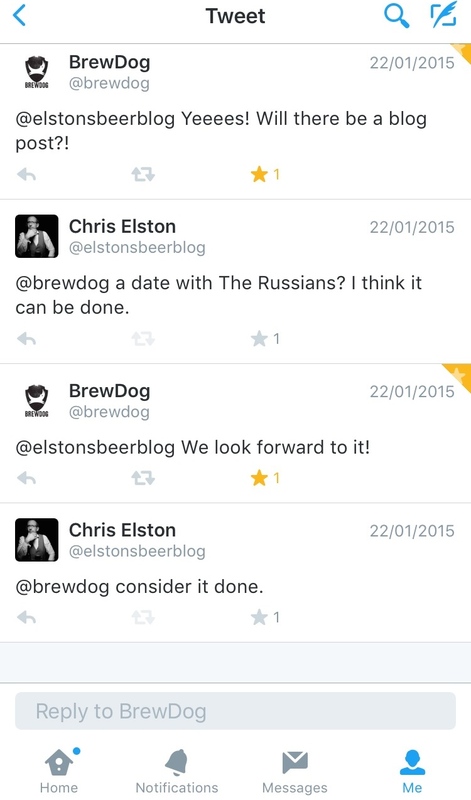 Let’s look forward to 2016 and all the good beer that it will bring. Cheers!